In recent months, the denier movement has engaged in numerous episodes of family squabbling and backstabbing. Fritz Berg has attacked Weber; Berg in turn has been rebuked by Bradley Smith; and Grubach has conducted a nasty campaign of open letters against Irving. What are the causes of these squabbles, and what do they tell us about the current state of the movement? I would argue that there are two key trends at work. Firstly, deniers tend to conduct turf wars during periods when denial is enjoying brief public exposure. Secondly, denial is simply exhibiting the same factionalism and essentialism that can be found in any other cult or extremist political movement. The difference is that 'revisionism' claims to be an intellectual movement based on 'evidence', rather than the faith position that it clearly occupies in reality. With regard to turf wars, it is no coincidence that two of the bitterest periods of denier backstabbing coincided with the Irving-Lipstadt libel trial and the Tehran denial conference. The former led to accusations that Irving had not deployed the full range of denier arguments. The latter led to Mark Weber making a TV appearance that caused Berg to fulminate against his failure to deny the Holocaust unequivocally. These episodes require deeper exploration. What was your purpose for publishing that essay by Provan? Do you think there is any merit to what he has written? You dummy! You obviously still think there might be some merit to Provan’s horseshit. Go adjust your head. You should have seen through Provan’s drivel the moment you read it. Fritz, that includes you. One of the reasons you are unable [to] help create such an organization is demonstrated by how you have addressed the issue of Weber and IHR in this thread. I am not saying that you are saying anything that is false. I am saying that the way you address these issues is so divisive that I do not believe you will ever be able to participate, much less spark, the organization that we all have a sense that we need. You do brilliant, unique, independent work, you have done it for years, for decades, you are one of the major contributors, internationally, to revisionist studies, but you have no idea how to deal publicly with organizational or personal issues that you want to address. So where does this leave us? I would draw an analogy with the fate of fascist groups in western politics. These groups enjoy occasional bursts of publicity that are invariably followed by internal squabbles, essentialist discussions of ideology, and the rooting out of heretics. The witch trials of Weber and Irving are simply the latest manifestations, albeit highly entertaining, of this factionalism in the faith-based cult of Holocaust denial. Provan - and his 700-800 gassed in a 25 square meter room. Has anyone repeated his trick. The problem with his trick is that it was done in a room with a trapdoor if I remember correctly. I don't think hide nor hair was ever found of the trapdoor - the ground water is so high it would need a pump or drowning would have been smarter. What was supposedly down the trapdoor was never expounded upon - probably good that we didn't have to hear about underground, invisible crematoria. Other than his doubtful 700-800 in a small room effort there is 0 or darn little else he wrote/said that should comfort the extermination crowd. There must be a college somewhere - say where Lipstadt teaches some studies courses - that could verify his work. Didn't Sergey Point out that the source of information for the "Trapdoor" was only hearsay, in that the person who described the trap door didn't see it for himself? 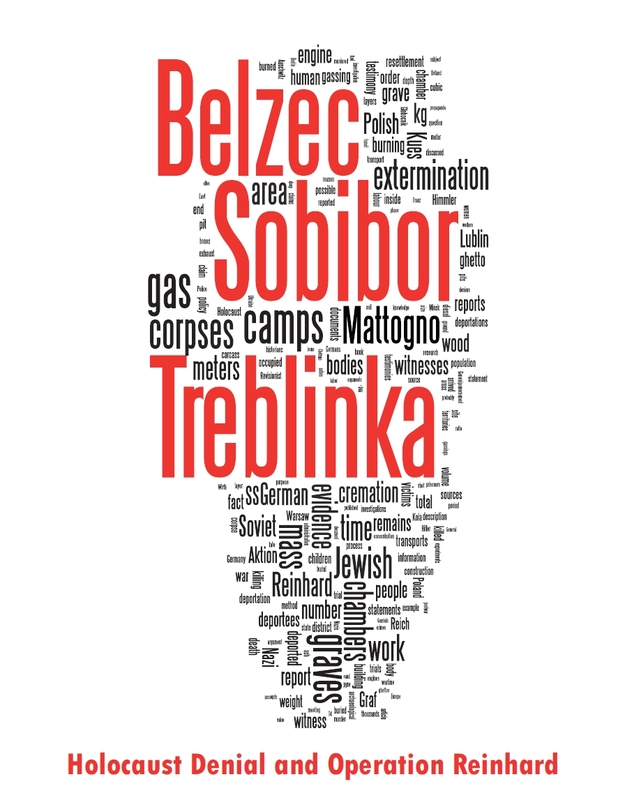 Also, wasn't the "trapdoor" allegedly at Sobibor? 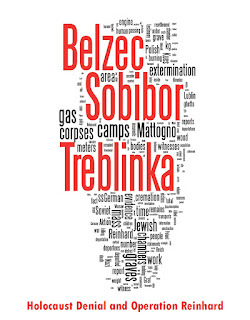 What does it have to do with the focus of Provan's experiment, Belzec, which was never stated to have a trapdoor? How does a "trapdoor" change the fact that Provan's calculations show that a little over 700 people, over half children, taking malnutrition into account, can fit into a gas chamber? Of course, "revisionists" are entitled to doubt whatever they want. Baseless doubts are all they have, after all. The "revisionists" Black Knights can comfort themselves whatever way they want. Just remember that bleeding on someone isn't exactly the best way to fight.